1990-US Dept. of Agric.-Agric. Res. Serv. Mid South Area Technology Transfer Award. 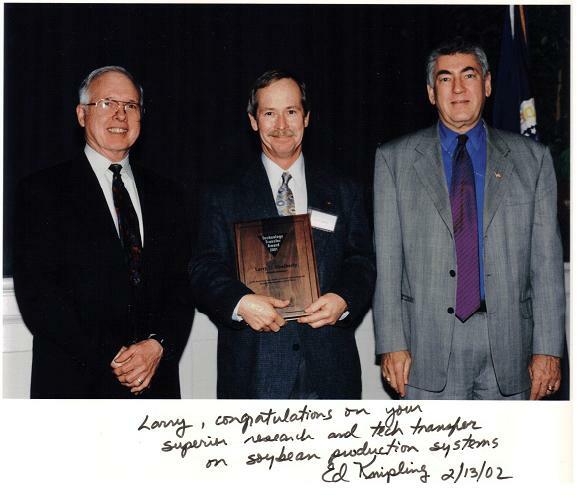 1991-Soybean Research Team Recognition Award, American Soybean Association. 1992-Elected Fellow, Crop Science Society of America. 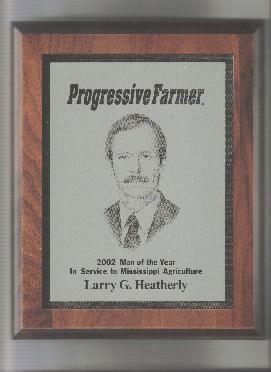 1993-Elected Fellow, American Society of Agronomy. 2001-US Dept. of Agric.-ARS Mid-South Area Technology Transfer Award Winner. 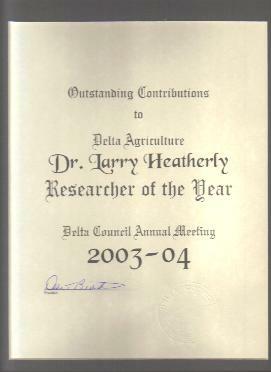 2004 Delta Council "Researcher of the Year"